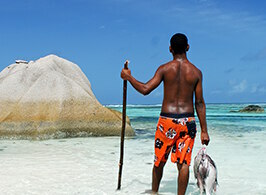 The dreamlike Seychelles are made up of 115 individual islands in the Indian Ocean, just four degrees south of the equator – but blissfully distant from anything else. 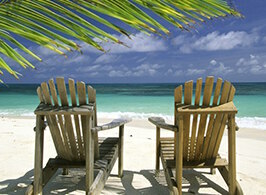 Without doubt, it’s the beaches that have positioned the Seychelles as a desirable honeymoon destination. But more than that, it is a bastion of eco-tourism, and a superb place to experience exotic wildlife in its natural habitat – in between island hopping, dining on the fine seafood, and soaking up the islands’ laid-back way of life. The beauty and untamed wilderness of Vallée de Mai, on the island of Praslin, is a hotspot of eco-tourism – offering unrivalled tropical forest exploration opportunities, one-of-a-kind natural sights and rare wildlife across a number of hiking trails. Located on the island of Mahé, this national park contains a wealth of habitats, from thick forest to the country’s highest peak – the Morne Seychellois stands at 905 metres. Use one of the walking trails to get to the heart of this remote, but beautiful wilderness. The Seychelles' 115 islands make this beautiful paradise a wonderful, exhilarating place to take part in some watersports or sea exploration – or simply unwind on any one of the country’s incredible beaches.